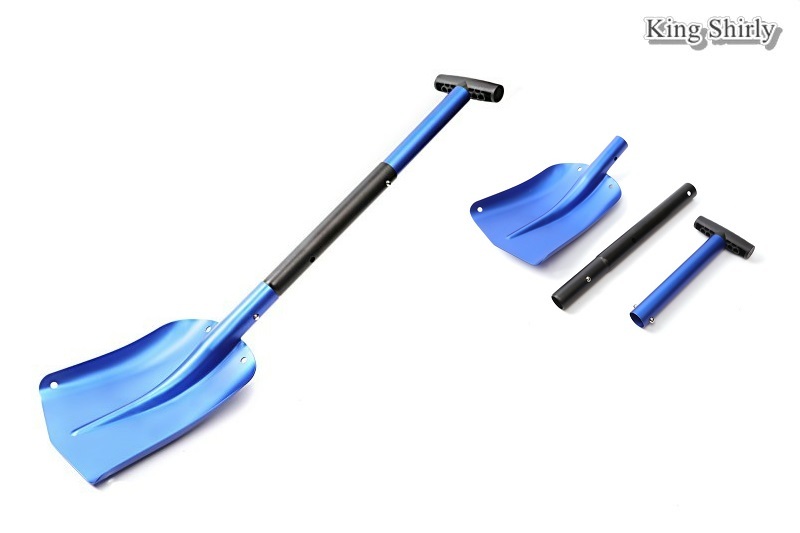 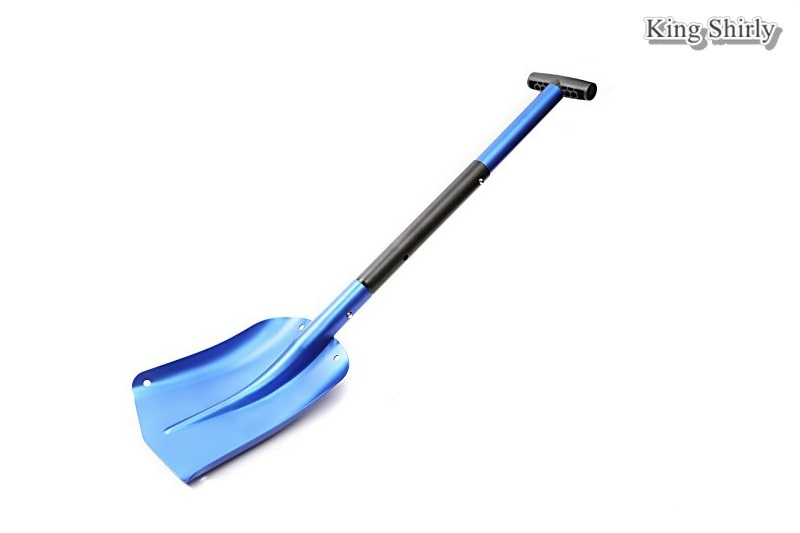 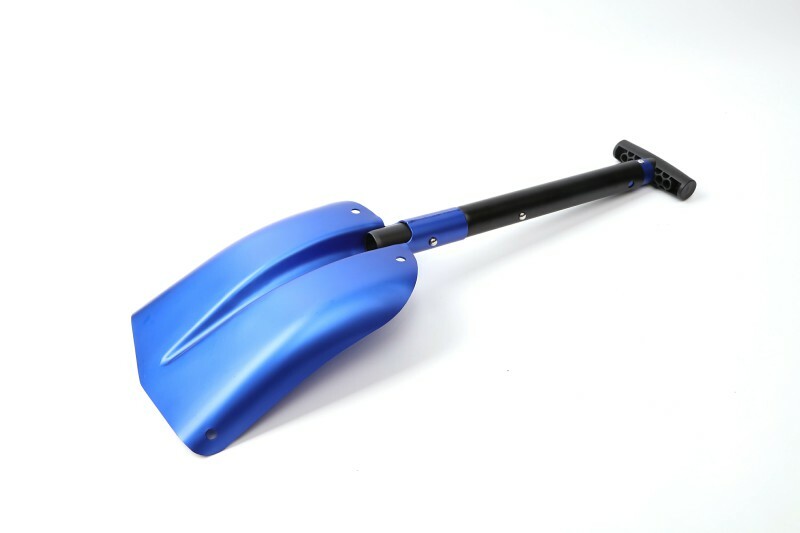 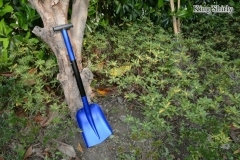 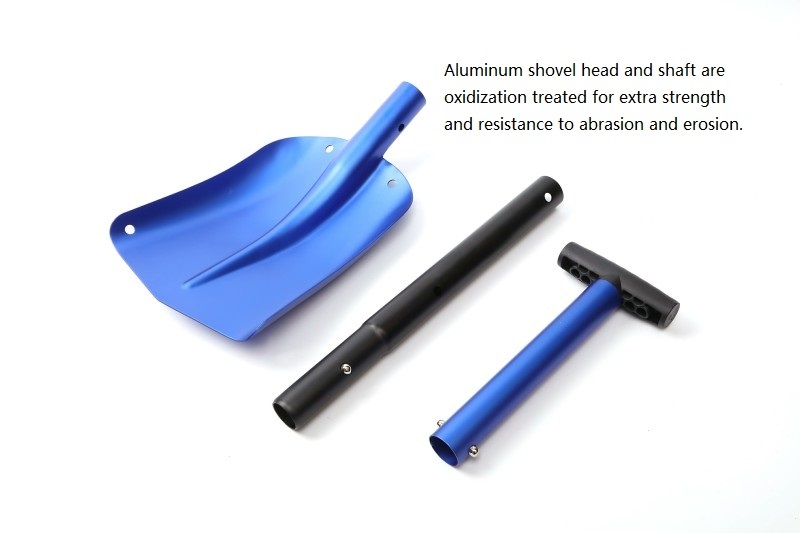 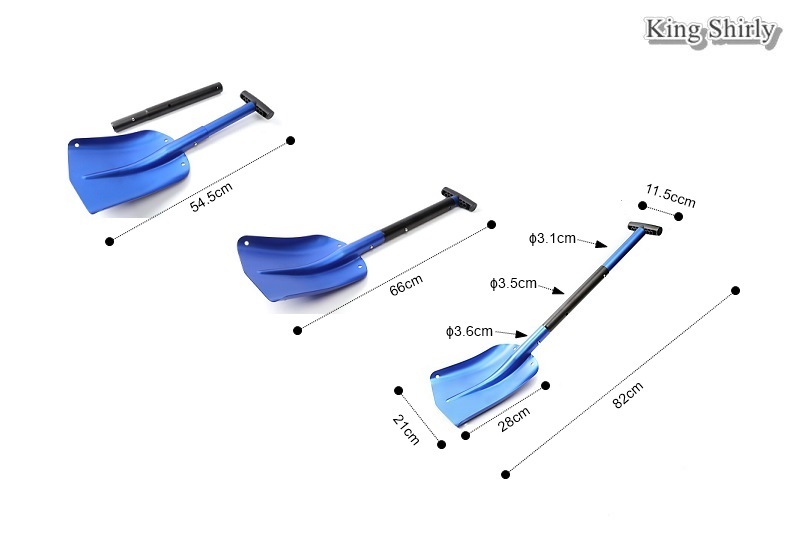 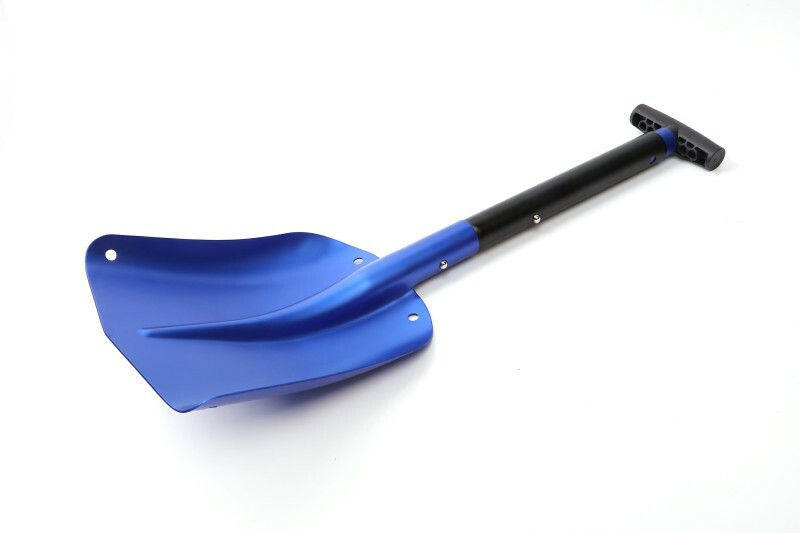 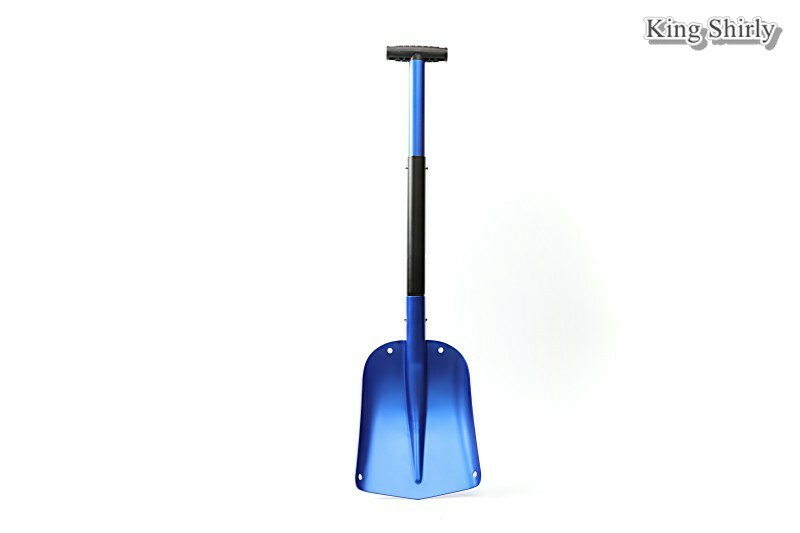 Lightweight aluminum snow shovel with flexible ways in assembly. 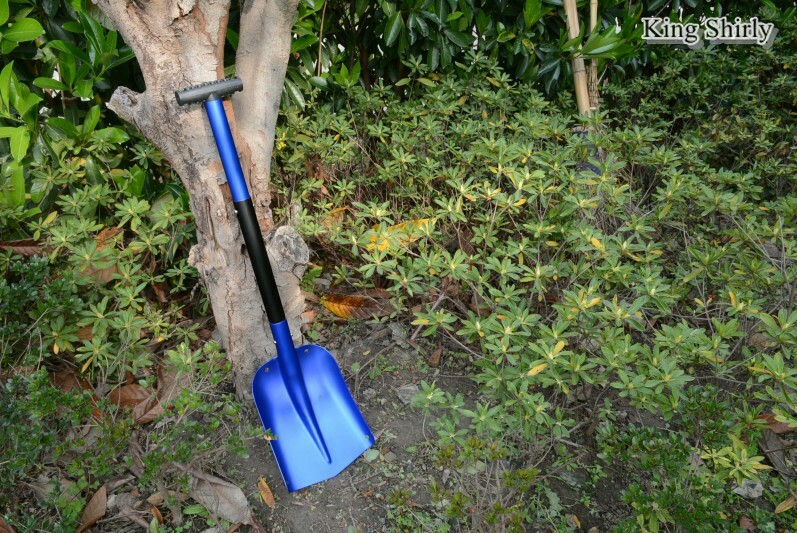 Convenient storage and carry. 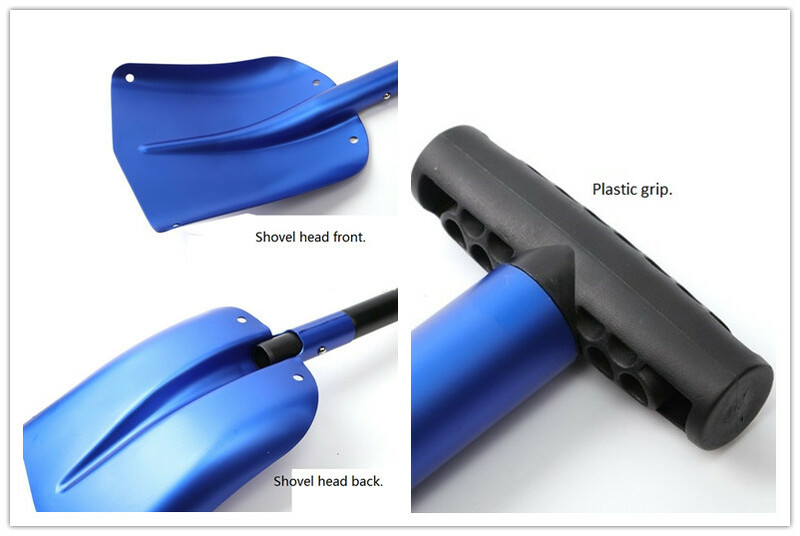 This lightweight snow shovel is made of aluminum alloy, oxidization treated for extra strength and resistance to rust and abrasion. 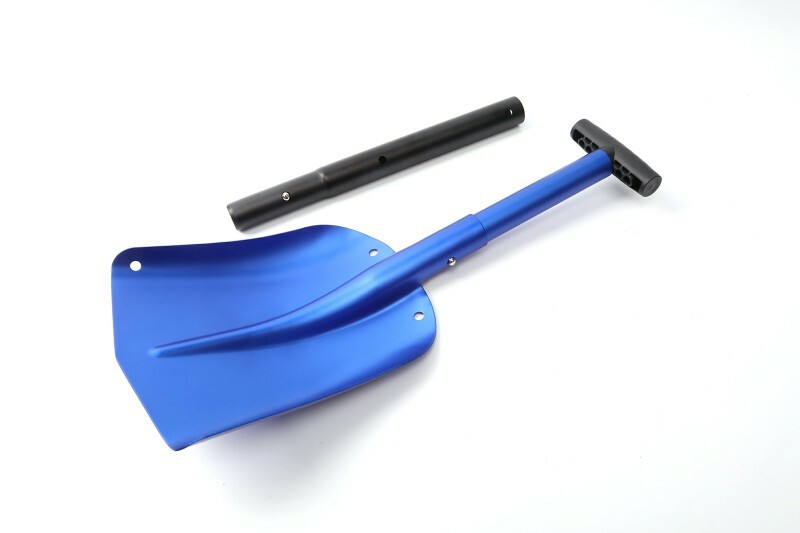 It comes in 3 separate segments that can be deftly assembled into a shovel with 3 different lengths, very convenient to store and carry for gardening, camping, expedition and more.